We can't enter data directly in charts. To enter data in chart we have to type it in excel spreadsheet that appears when you add Chart or click Edit Chart option. The data that you enter in spreadsheet automatically appears in the Chart. 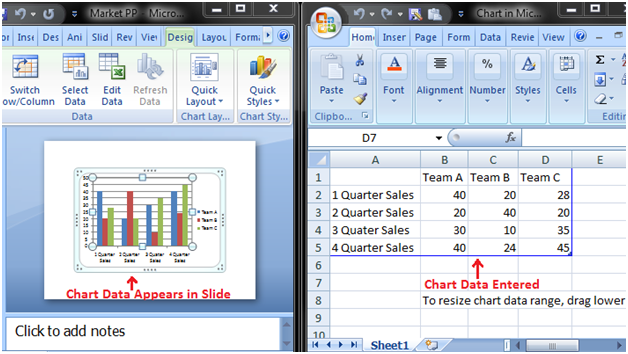 Select the cell of spreadsheet and type the data it will appear in the slide. Repeat the process to enter the entire data.